Make history by being part of the first ever Baylor Line to run at a bowl game!!! Any and all current students with a Line Jersey are invited to run the Baylor Line at the bowl game by purchasing an exclusive student bowl game ticket bundle. The price is $25 and includes a Baylor Line game ticket (which includes a seat in the Baylor Line section), Baylor spirit item, dinner, and the opportunity to run into the field at NRG Stadium in Houston, Texas! Baylor Line Student Tickets $25, available HERE through the Baylor Athletics Ticket Office website. Open to any current student who has a line jersey. Pregame experience with dinner provided. 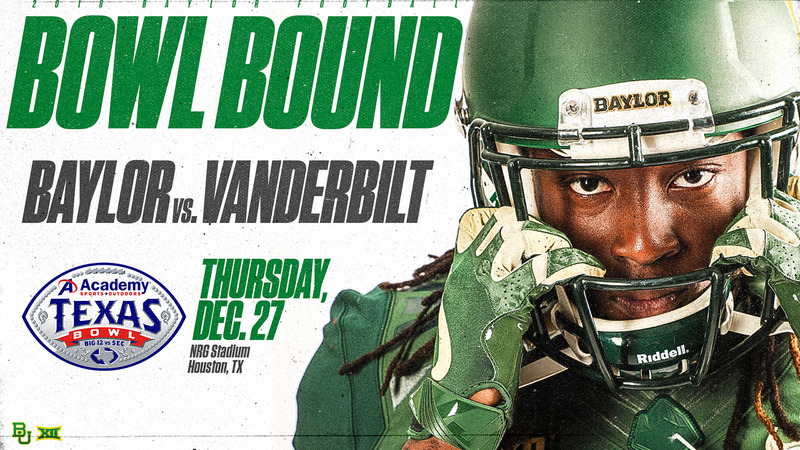 Deadline to purchase a Student Baylor Line Bowl Game ticket: Wednesday, December 19, 2018 at 5pm CST!